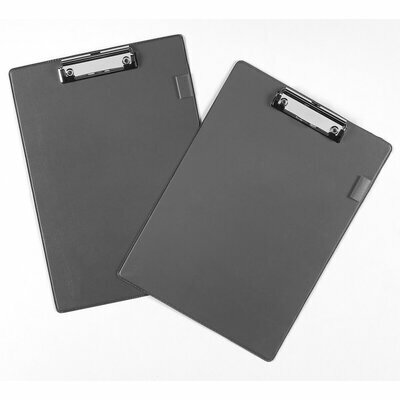 Keep on top of all your paperwork while making your daily visits with our A4 Clipboard supplied in a black colour. For those on the go constantly who need a safe and secure place to store their most important documents, this rigid PVC coated board features a heavy duty clip that folds safely down to hold everything in place while a slimline pen holder to the side ensure you'll always be ready to jot down extra notes. Sized perfectly to hold A4 or foolscape documents and lightweight enough to ensure you won't be weighed down, this board is an essential addition to any document-heavy environment. Make sure every note has it's place with our range of A4 paper and never be caught without your trusty Ballpoint Pens. When you need to stock up on office essentials, take a browse through our Stationery collection for excellent prices and economical packs.